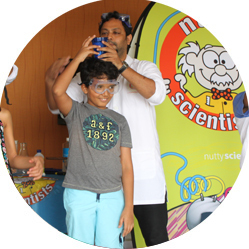 Nutty Scientists offers unique shows & science activities as an entertainment service for parties and celebrations Forget the worn out clowns and magic tricks, offer guests an exciting & participatory approach that will result into learning while having loads of fun! 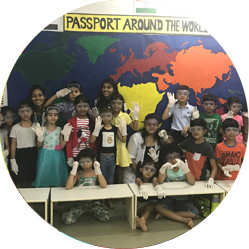 The combination of fun, theatre & Education makes these activities an unforgettable experience for all children. Scientific Shows are a way to bring science to children in a complete original format. 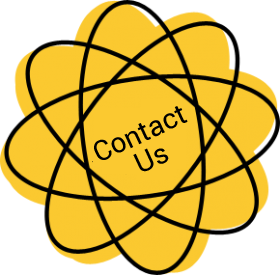 We will make their imagination wonder with the different adventures of our Nutty Scientists in combination with entertainment, theatre and fun. Children will learn while they engage in this participatory adventure. Shows like our popular Castaway and Ice Age will have kids asking for more! Children performstriking, cool exciting experiments with our Nutty Scientists. 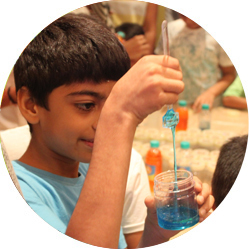 Each child gets to feel like a young scientist, getting to perform their own fun experiments. 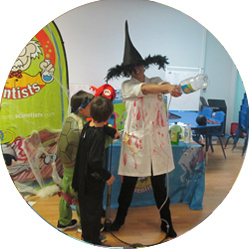 The experiments will guaranteed create a ‘wow’ feeling amongst the children, its almost like magic using science. 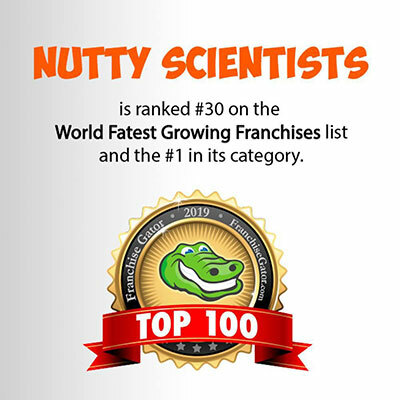 Nutty scientific stations consist of a group of tables in an enclosed area. On each table our Nutty scientists perform continuous simultaneous activities to engage the kids. 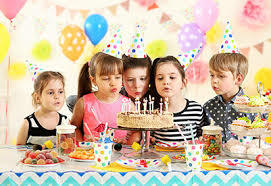 Children perform hands-on-thrilling experiments, activities or games at each station for 10-15 minutes in groups and pass from one station to the other. Many of the activities result in take home goodies increasing the excitement for the kids. 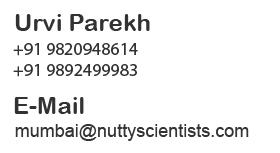 Games & challenges usually played in a team. The activities would cover many outdoor and indoor activities based on common scientific concepts. Diverse , entertaining games like Don’t Let it Pop, Me Zombie - You Zombie, Soda Can challenge...Heaps an heaps of fun.